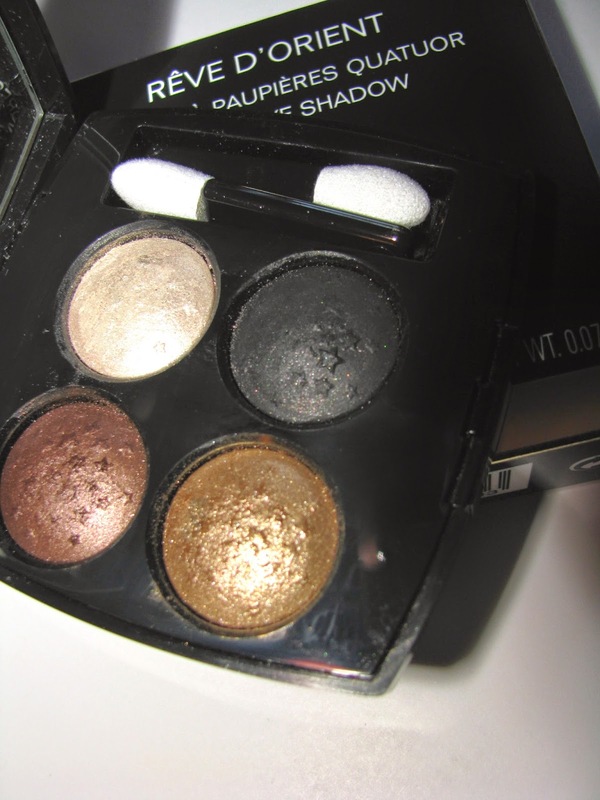 It's time to get starry eyed with Chanel's new Reve D'Orient Quadra Eyeshadow. This new quad, which makes it debut on December 1st, is embossed with stars on each of the colors and will give all your holiday looks some sparkle. 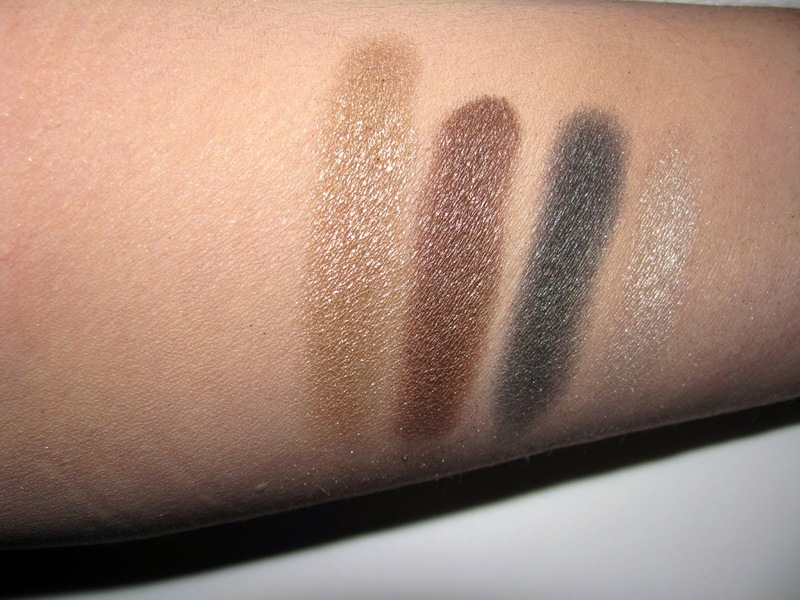 Something fellow beauty enthusiasts will understand, I was anxious to try it, I didn't think to take pics before I swatched. So the stars got a little worn . When you pop that compact open after removing from the box, it glows. 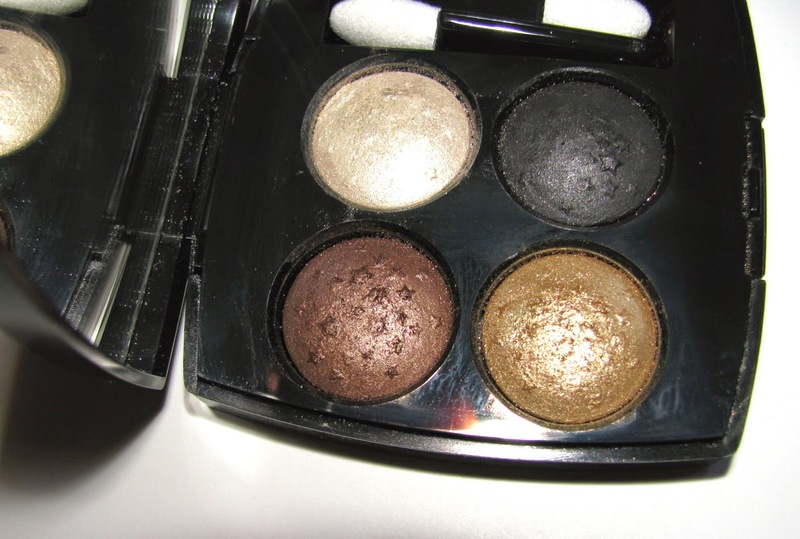 The four shades here, white/beige, gold, deep brown and black are all wearable and go well together or separately and they all have good pigment, deep really except for the white which is a little lighter. There is some fallout but not much. They apply smooth and deep on the first pass. Reve D'Orient is LE and $ 70. On December 1st it will be available on chanel.com with free overnight shipping on it's purchase. NARS has a little sale beginning this Friday . and if you want first access to the 20% off event, you can sign up for an email update here. Dry skin ? With Jack Frost doing his thing really early and in a big way, our epidermis is bound to feeling a little parched. 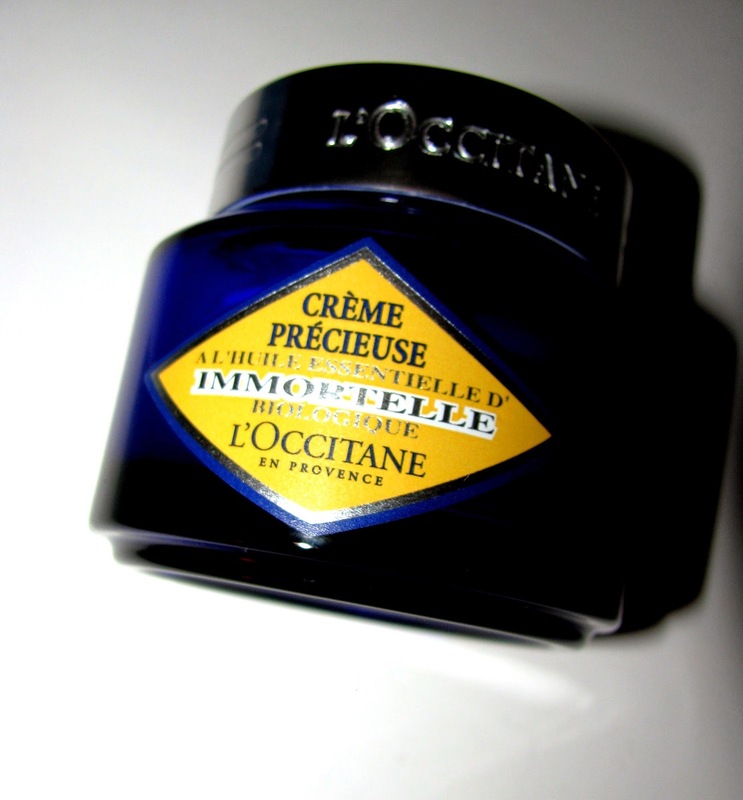 L'Occitane has a cream to the rescue for those with drier skins, new Immortelle Precious Cream , an update/upgrade from their Precious Cream . 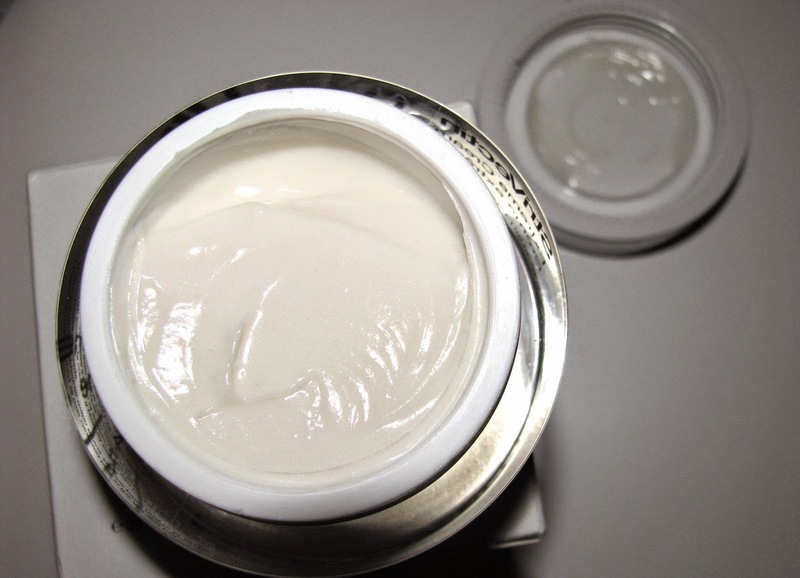 This thick cream is loaded with hydrators like shea butter, sunflower seed, evening primrose and borage seed oils . 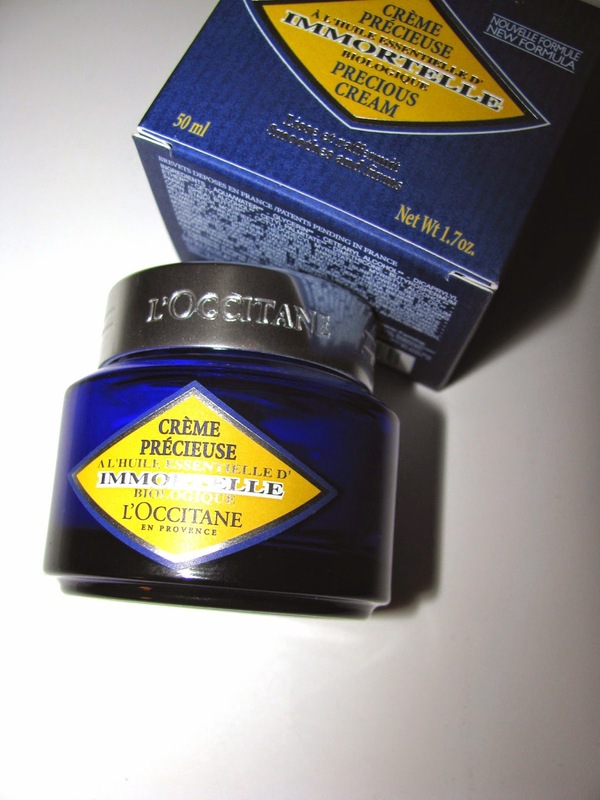 It also helps to firm and smooth skin with two patents pending and an oily extract from the Immortelle Flower. This is one of the products that just feels so comfortable on skin , it smoothes right in , and while heavier , sinks in fast . Dehydrated skin should love it. Are you ready to talk Summer 2015 ? Yes, yes,it's a ways off, but it also brings the newest MAC designer collab with Giambattista Valli. Vogue broke the news last Friday of the five new lipsticks and I believe also lipgloss shades that will hit stores next Summer. 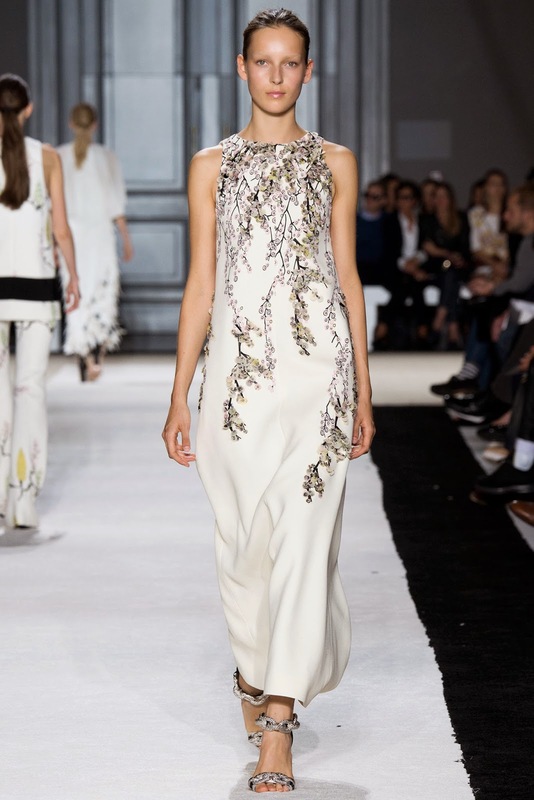 I generally like what Valli shows during fashion week and always check out the looks, but for those less immersed in fashion, you still may have heard of him as newlywed Amal Alamuddin Clooney wore one of his couture creations the day after her uber press covered wedding in Venice . New here are lipstick tubes that match the inside shade and they will be matte. 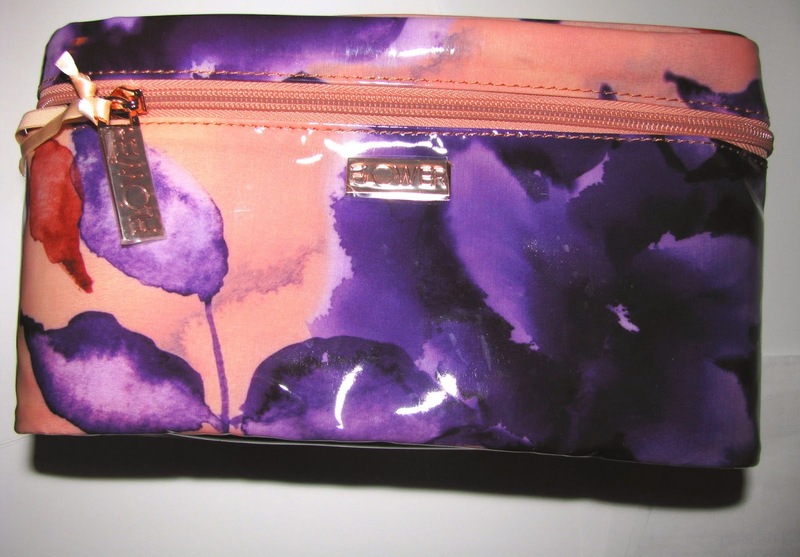 I think all the vibrant colors look great and would love to get my hands on them now, especially that deep plum . Giving the gift of time this year ? A new watch makes a lovely gift and the right one is an everyday accessory that helps perfect your look. Italian watchmaker Breil has several new styles that should please any giftee. Dressy or sporty , all have sparkle in the form of Swarovski crystals in the dial and bezel along with metal or leather bands, and are water resistant. Breil watches are available at Macys, www.breilusa.com, Saks, and more. Do you love a good train case ? Crazy question ? Not if you're a beauty gal. I love them and have several, more than I need most likely but new , nice ones are always popping up. 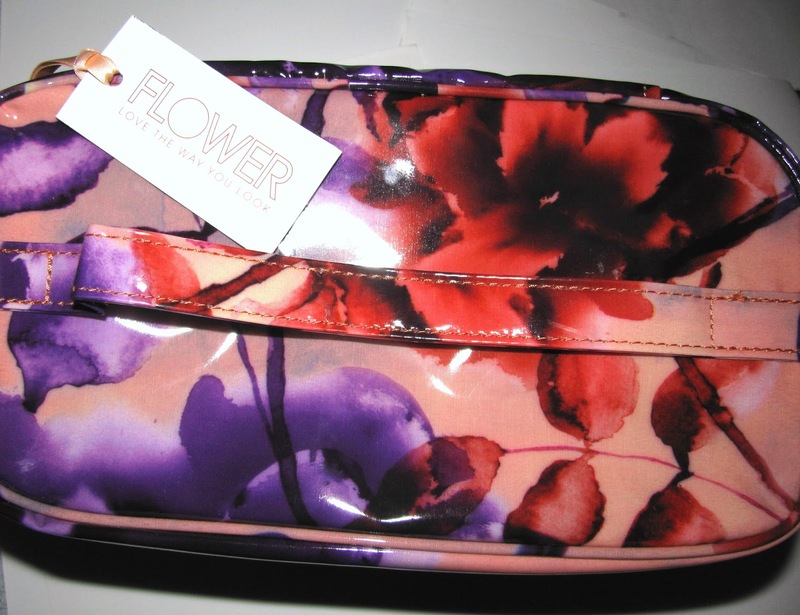 For gifting or getting, Flower has a new line of makeup cases out including a train case. All are done in a bold flower print in either pink tones or blue tones. 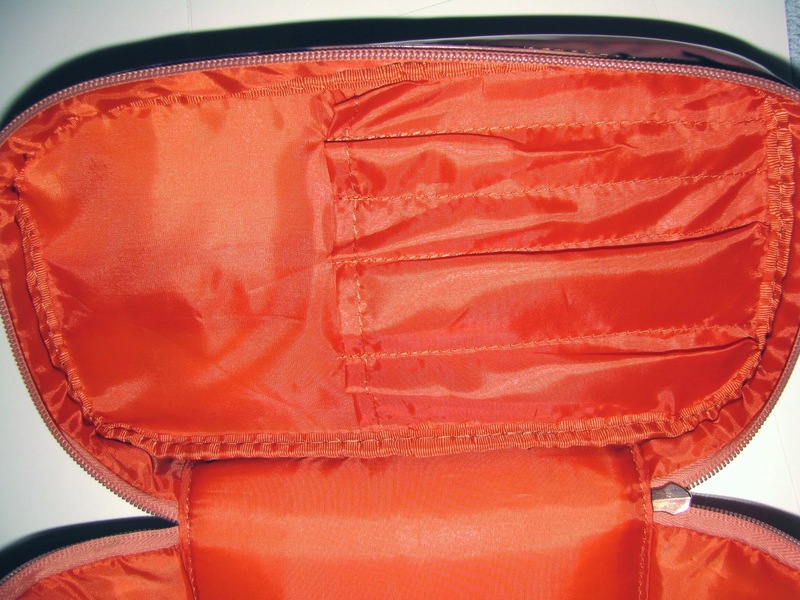 The case has slots at the top for makeup brushes and a full open bottom for everything else. 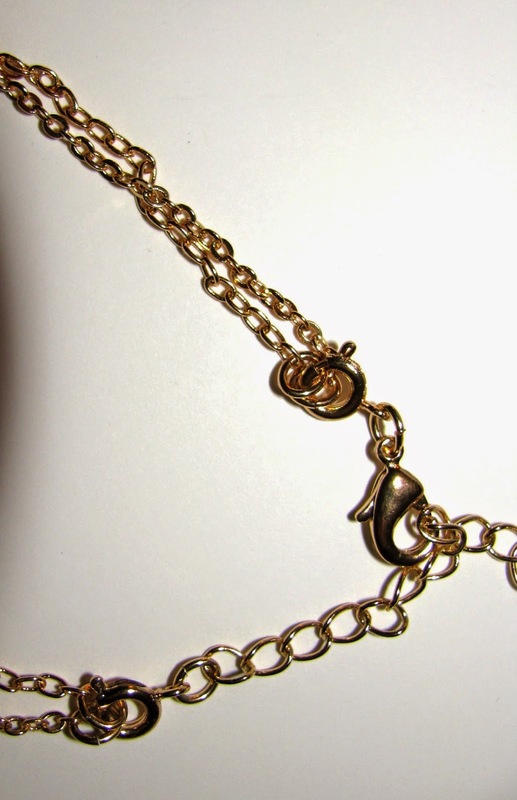 There is a rose goldtone logo plaque and zipper pull. Measurements are 5.75 H x10.25 W x 5.5 D.
If you do happen to be thinking of gifting this , you might want to tuck some new brushes into those slots too. Flower has you covered there as well with five brushes for face , eye and lips . 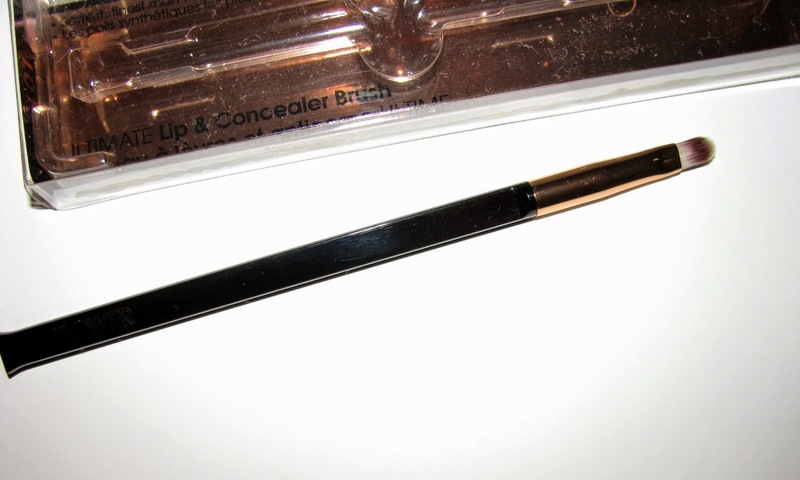 The brushes are synthetic and I have to say seem to be good quality. Not easy to find at the mass market level. A good brush is a must, and if you can grab them well priced, even better. Flower brushes range from 6.98 to 12.98 . Want to inject a little Dolce Vita into your routine ? 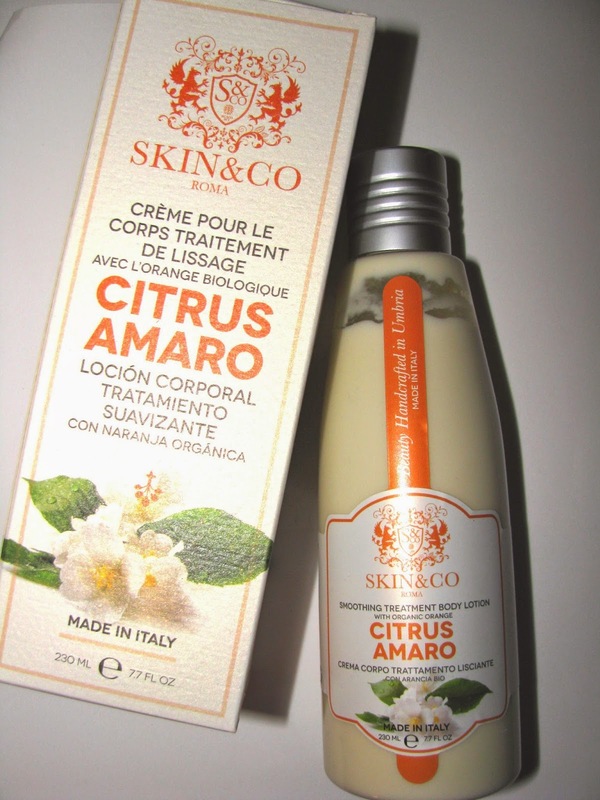 New to Walgreens and Duane Reade stores is Skin & Co Roma from Umbria, Italy. Inspired by the creator's grandmother's hand crafted skincare using among other things , truffles,the company goes back to 2007 across Europe but has just reached us. 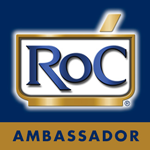 The brand uses some organic ingredients and is sulfate, paraben mineral oil and phtalates free as well as not tested on animals. 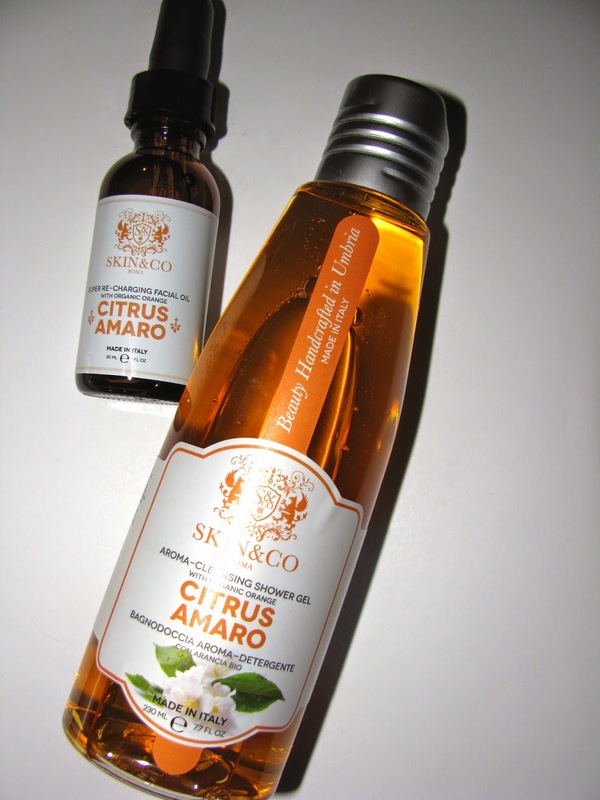 There are four scents collections available and naturally I got the citrus one, Citrus Amaro. The citrus here is not overly pronounced, the scent is more herbal orange and with one of the ingredients being bitter orange that doesn't surprise me. The Smoothing Treatment Body Lotion is a truly lovely product. The lotion is on the thinner side but feels so smooth and instantly hydrating going on. I got just the lightest bit of scent, mostly herb. I admit I'd like it to be more orange, but it worked so well , I didn't care. 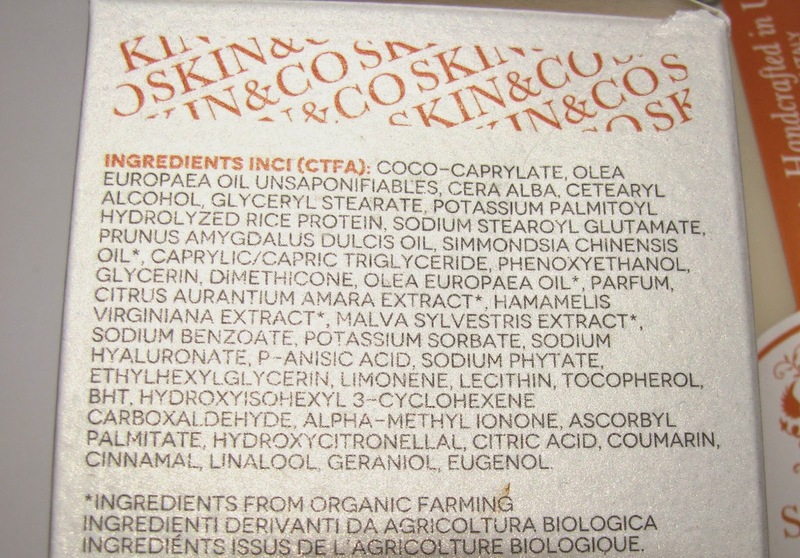 Ingredients include olive oil , organic almond and jojoba oils and hyaluronic acid. 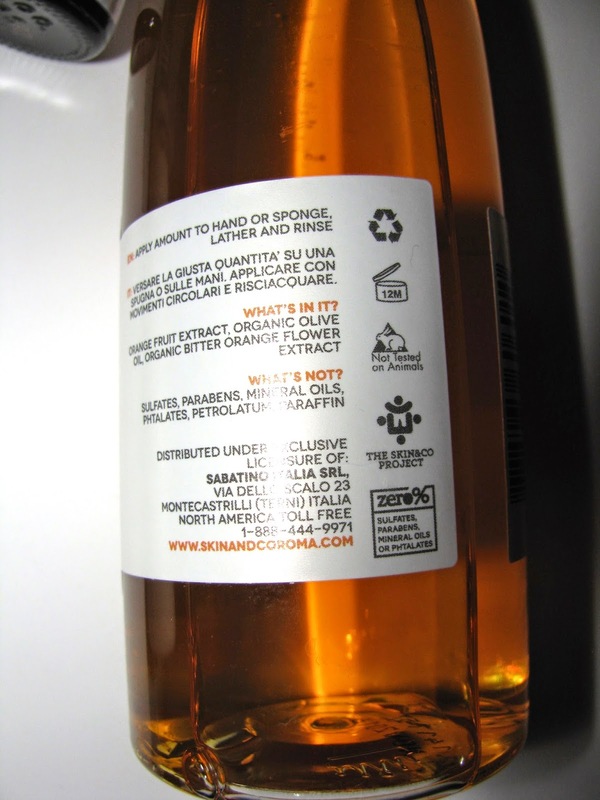 Aroma Cleansing Shower Gel has a stronger orange fragrance and lathers lightly. 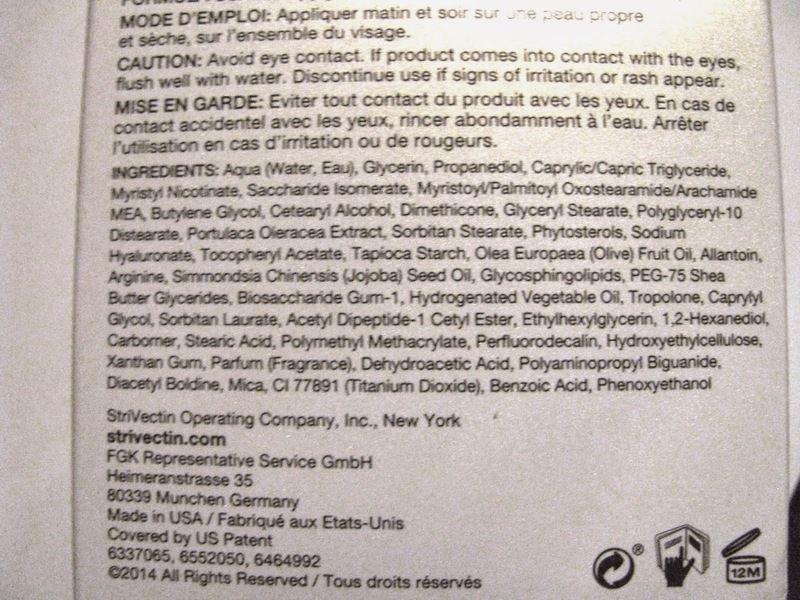 It uses like a typical shower gel, not drying but not heavily moisturizing either. Ingredients include organic olive oil. Line also available at Henri Bendel. The new B. Balenciaga feels like the fragrance I've been waiting to sniff this year. And I have been waiting months to try it. It doesn't smell like everything else, and it's not fruity sweet. What it is , is quite good. The fragrance is very dry , owing mainly to the violet leaves and orris ( iris root) along with edamame accord . I have to be honest, I've not smelled edamame before , but it's obviously a green scent and there is plenty of that in here . I love the dry feel of iris and B. never goes too powdery. It's also as I mentioned a very green scent . The florals are a tease that come and go as you sniff. Lily of The Valley is one of the top notes but I don't get much of that pretty floral at first. More like after 5 or more. Ambrette seeds, another favorite note of mine, add a little warmth but also continues the dry feel, with cedar well represented as well. There is a peppery spice to the drydown that gives it a little edge. 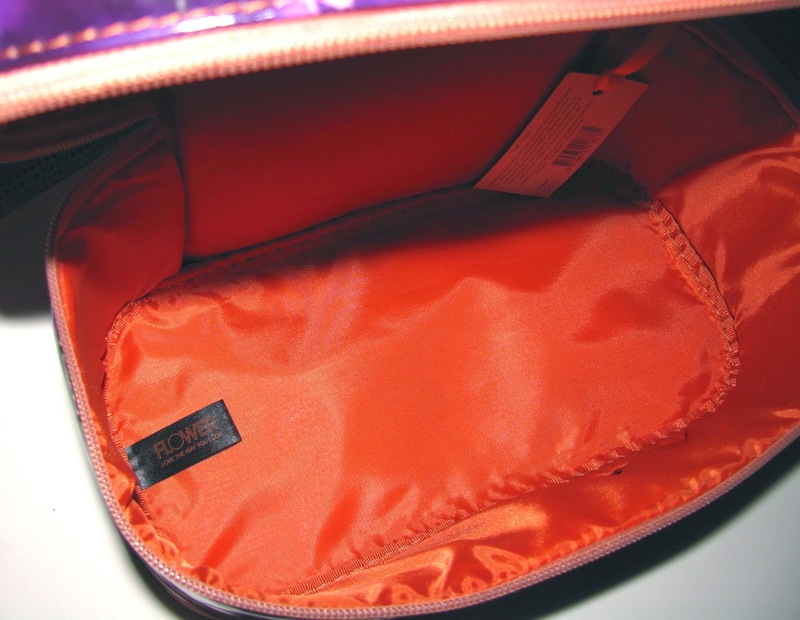 This wears fairly light , more than a skinscent but not heavy or strong and there is light sillage. 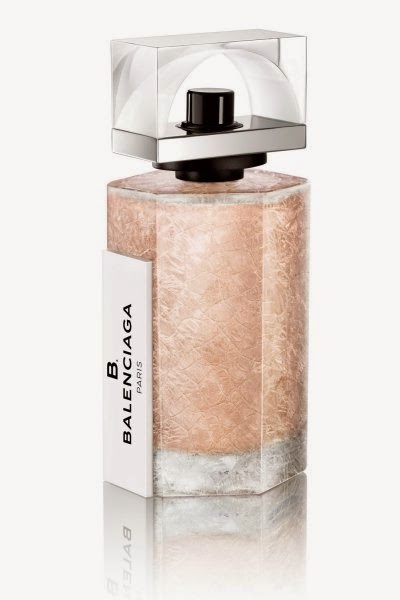 For a day fragrance that has a little verve and a lot of elegance, B. Balenciaga is a perfect choice. B. Balenciaga comes in a rollerball for $ 25, 1oz EDP for $ 82, 1.7 oz EDP for $ 110 and 2.5 oz EDP for $ 145 as well as shower gel and lotion and is available at Sephora and Nordstrom. 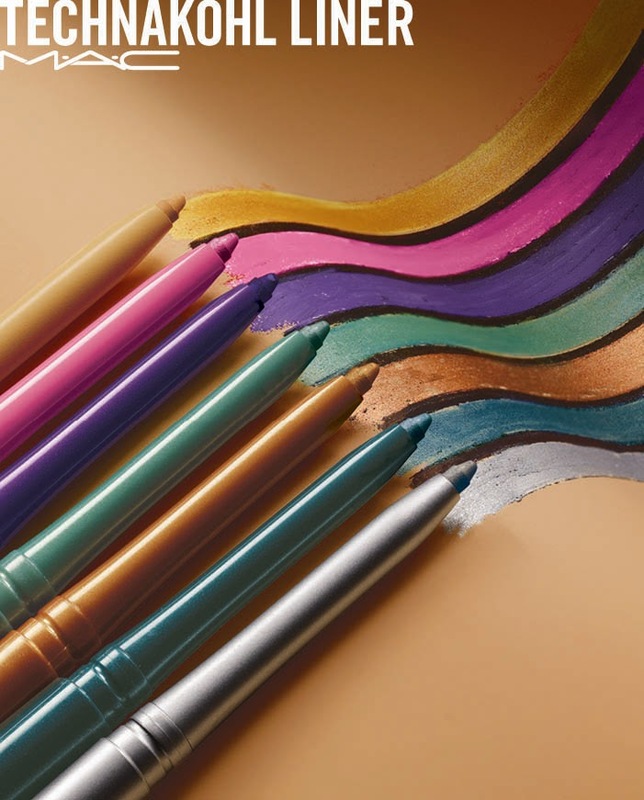 Love colored eyeliners? Then the new Tecnakohls from MAC will be right up your alley. Available on Nov. 28 (exclusively at Macy's until Dec. 11) will be 26 new shades . That's a whopping liner launch . Personally I can't enough of liners like this and I want them all. I love that beige and bronze are well represented. 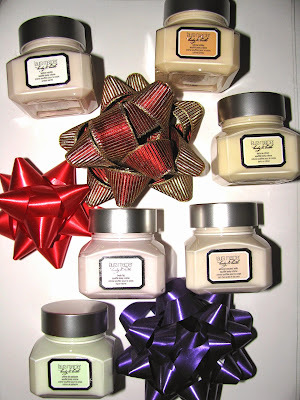 By now Laura Mercier's holiday gift sets are perennial favorites. It's hard to beat something with La Petite Patisserie in the name. Last year all the aunts and cousins got the Hand Crèmes . Everyone loved them as they pack loads of shea butter and delicious scent. You can of course get that scented goodness for body too with La Petite Patisserie Souffle Body Crème Collection . The Souffle Body Crèmes are a thick, rich moisturizer for body with shea, honey and grape seed oils and come in Mercier's signature scents. If you've tried them you know how good they smell. Each super cute mini jar has 2 oz of product. 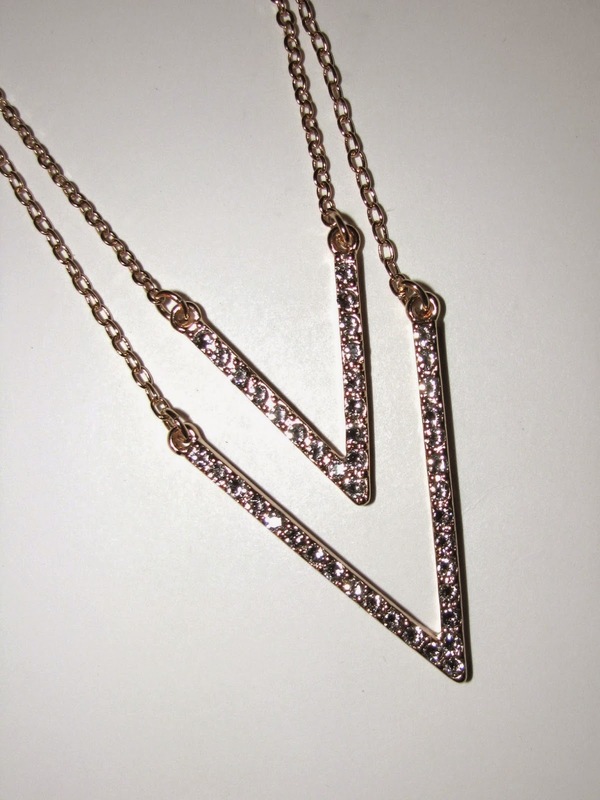 A set of these is one lovely gift, but you can also break them up and gift one each tucked into another gift. The Hand Crème set of four is also available again for $ 30 .
mark's Twice As Nice necklace brings major sparkle with it's 22 Swarovski Crystal accents. 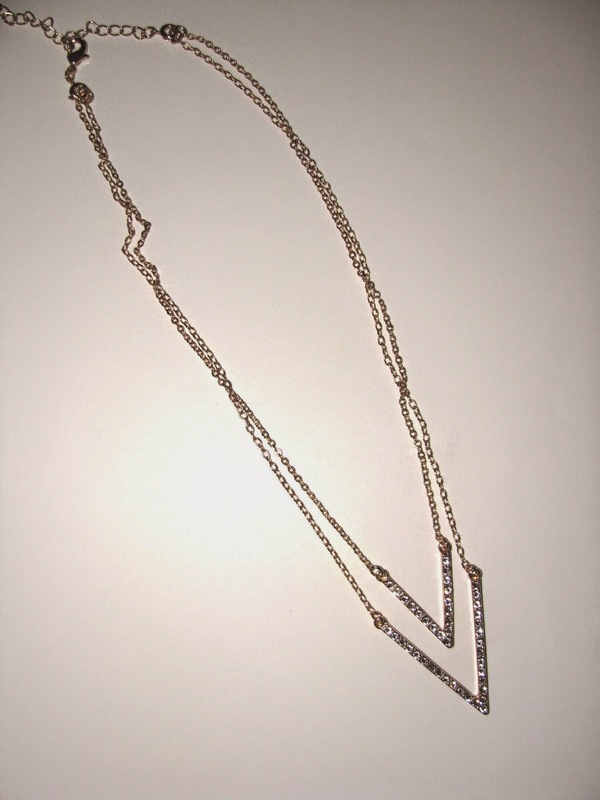 This dual chain necklace features two large Vs detailed with the crystals. It has a very '70's Halston vibe going on . It looks very pretty in the box but far better on, in person. 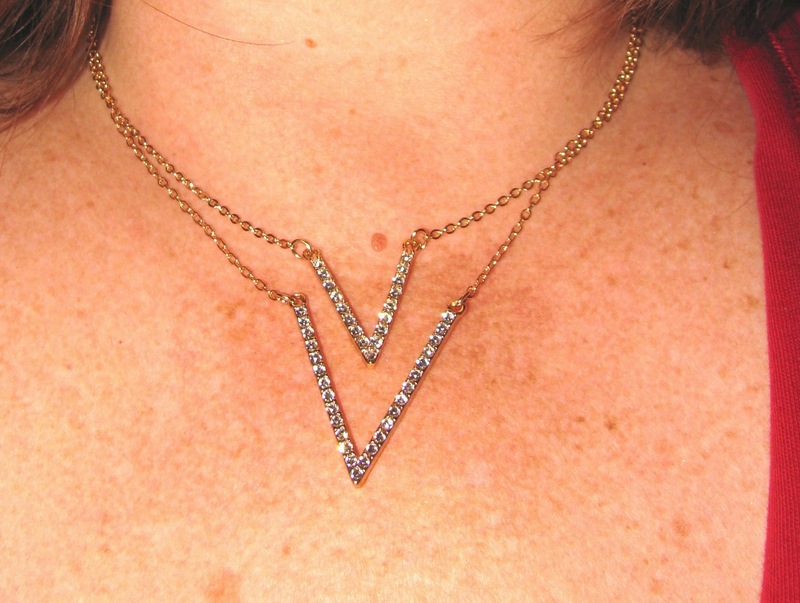 Pictures do not really do it justice.The chains are subtle, the Vs are not. This will brighten up any V Necks you wear especially, but will go with round necklines as well. 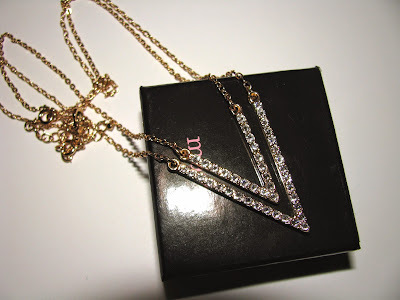 The chains are adjustable and they can be separated. I have a lot of hats. Vintage ones, winter ones and Summer straw ones. Somehow I did not have a rain hat . I've remedied that with this new one from Scala Collezione. 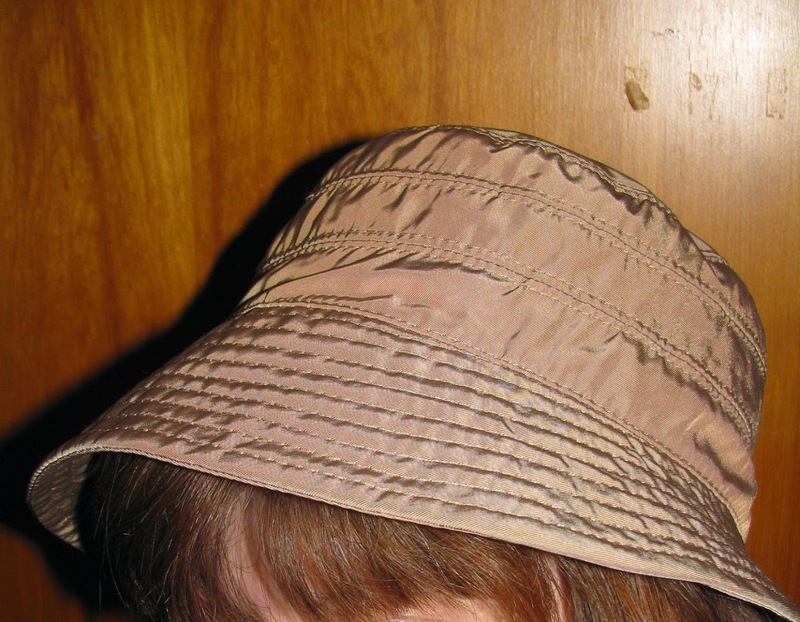 It's a fun bucket style but it's smaller than most buckets I usually see and therefore more flattering I think. 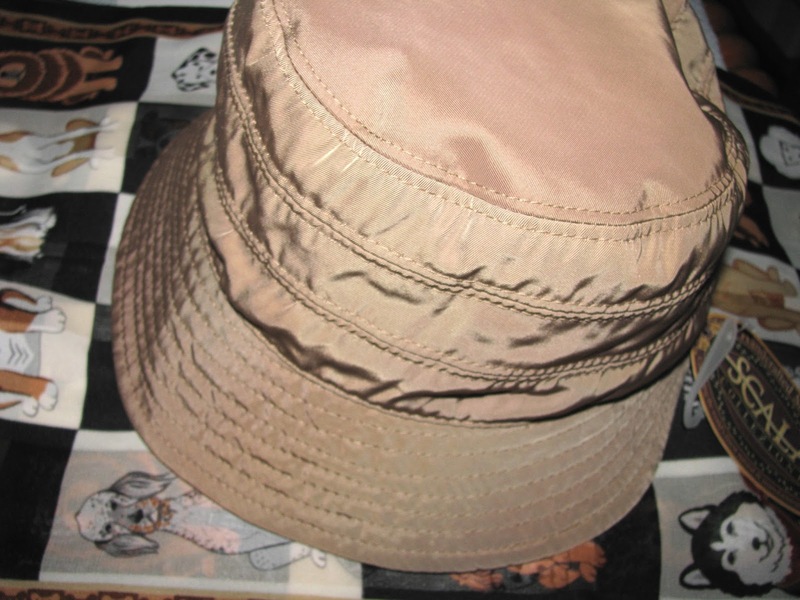 The brim is 3 inches with sturdy nylon outer material and a pretty polka dot satin liner. 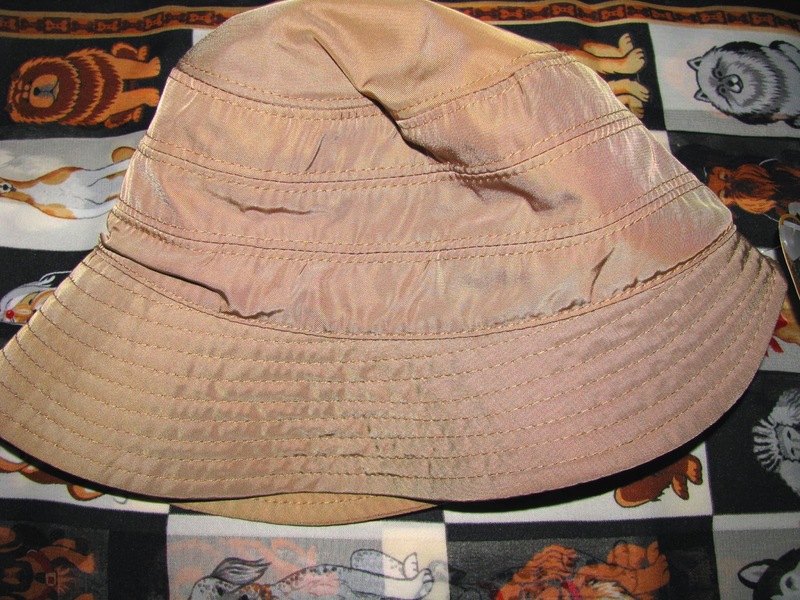 The hat comes in four colors, wine, black, charcoal and khaki, my pick. 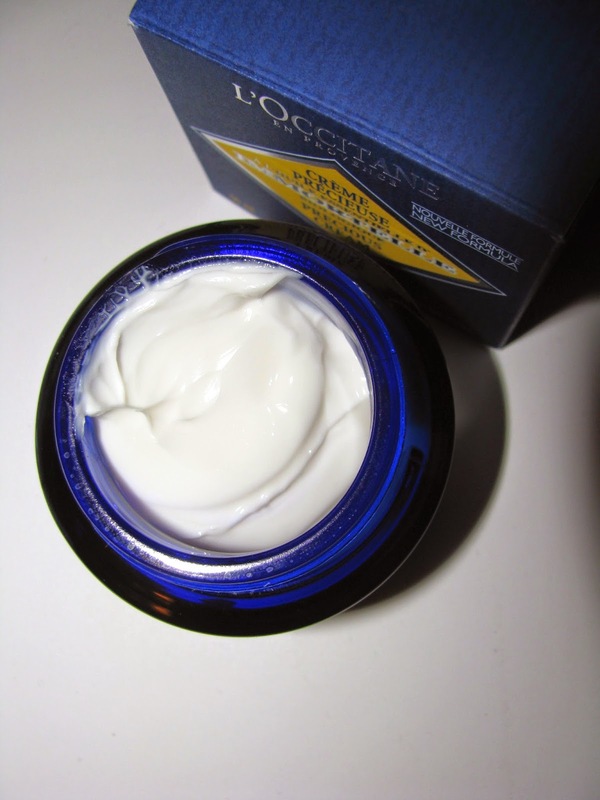 Looking for a heavy duty moisturizer /anti-ager for winter weather ? 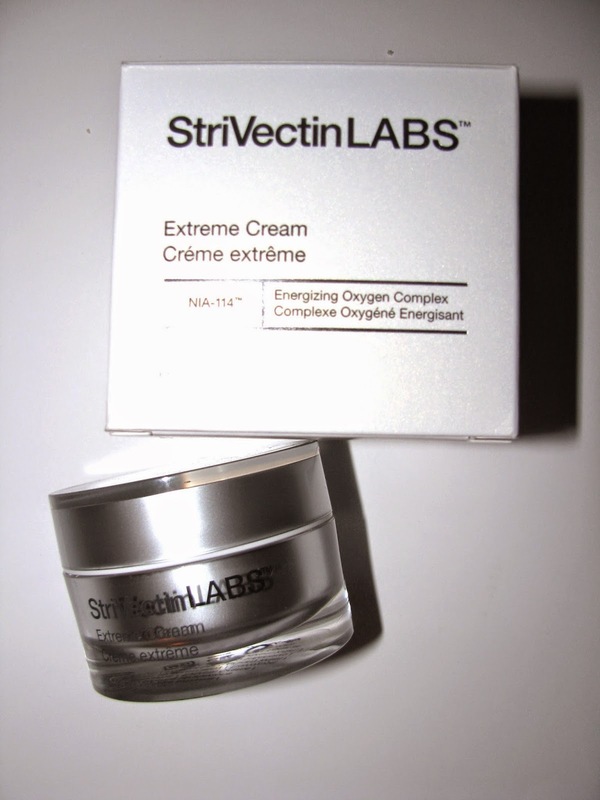 StriVectin's new Extreme Cream might be for you. Extreme Cream is packed with hydrators like jojoba and olive fruit oil along with the brands NIA 114 to strengthen the skin barrier against environmental damage and their Energizing Oxygen Complex. 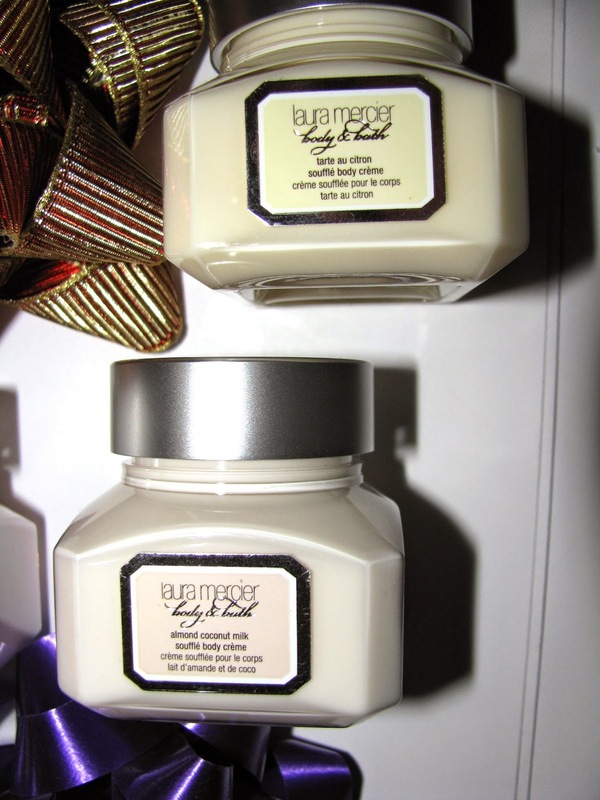 All that makes for a rich cream that feels light on skin, and plumps and moisturizes throughout the day or night . It sinks in pretty fast too, needing a little time to set in, but not long and works well under makeup.